Jia-Chen Fu. The Other Milk: Reinventing Soy in Republican China. University of Washington Press, 2019. The Other Milk tells a fascinating story—how nutrition science transformed the place of soybeans in the Chinese diet from humble components of traditional cuisine to instruments of physical and social development, only to be replaced by dairy foods as markers of modernity. This book is a superb example of how cultural history, cuisine, science, and globalization intersect around one food–soybeans. Here is a small taste: Fu, an assistant professor of Chinese at Emory University, explains that the use of soybeans in Chinese cuisine dates back to 500 B.C. or so, but she begins her analysis in the early 1900s with an account of Li Shizeng’s promotion of soy milk—in Paris, of all places. Li’s soybean experiment in Paris proved short-lived, but his insistence that soybeans offered a key to a modern, industrial China did not fail to impress his compatriots. Popular accounts celebrated the soybean’s many industrial and gastronomic uses and as late as 1920, highlighted Li’s foresight and ingenuity in promoting an indigenous product, doujiang (soybean milk), as both more nutritious and sanitary than cow’s milk, on the world stage. If the soybean could signify modern, industrial development, could it also challenge perceptions of Chinese physical and nutritional precarity, of China as “the sick man of Asia”? When coupled with a newly emergent discursive concept of the Chinese diet as a thing scientists and social scientists could measure and adjust, the aspiration grew for soybeans to change not just Chinese history but Chinese bodies. All those non-milk “milks’ in the dairy section—soy, almond, cashew, hazelnut, pumpkin seed, flax, hemp, coconut—make the dairy industry unhappy. Milk says the FDA, is the “lacteal secretion” from cows. Government agencies can’t agree; the USDA wants to help soybean farmers and favors selling soy milk as milk. This dispute, obviously, is about marketing advantage. Now Food Chemical News has a nifty investigative report on the fight between USDA and FDA over soymilk in the 2015 Dietary Guidelines. 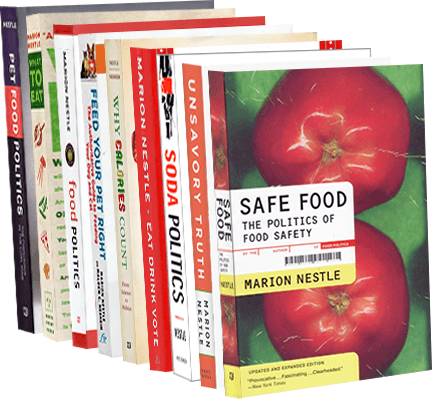 The Good Food Institute filed a FOIA request and got 1500 pages of emails dating from 2011. The USDA likes “soymilk:” everyone knows what it is. The FDA prefers “fortified soy beverage” to indicate that the soy product does not have the same nutrient composition as cow’s milk. This marketing dispute involves lawsuits, petitions, and more, according to the Associated Press account. As I’ve written earlier, this is about market share. Let them fight it out. In the meantime, I don’t have any trouble telling which is which, and I’ll bet you don’t either. Soy infant formulas: OK but nothing special? The American Academy of Pediatrics has just issued an updated assessment of the benefits and risks of soy infant formulas. Its conclusion: soy formulas are fine for full-term infants and hardly ever cause problems but they also are hardly ever needed as a replacement for cow’s milk formulas. Never mind which is better. Breast feeding is still best of all.